You know, when you make absolutist statements like "period!" and "no contest", you don't do your credibility any good. The E-M1X does things neither the XT3 nor the D850 can do. 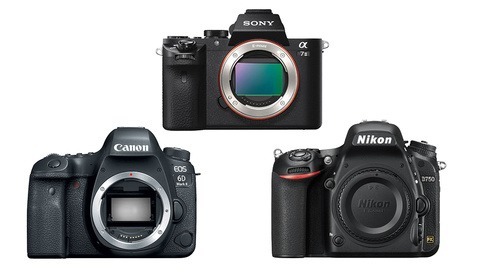 Everybody is comparing M4/3 with full frame cameras, how silly is that? I see each sensor size has it's own benefits and few aware that M4/3 is also GREAT for macro photography. I was asked to photography a tiny salted (preserved) fish which is less then 2 inches long, the highest resolution camera I have in the FF was the Sony A7RII along with the amazingly sharp G 90mm f2.8 which I was struggling to shoot without stopping down beyond f11 because at 1:2 magnification the depth of field is so narrow and the only solution was to stack the images to get more depth. I then thought to give the M4/3 Pen F with Olympus 60mm f2.8 a shoot with high res mode and I managed to get the depth required without image stacking. I then compared the two files from both cameras (set to the slowest ISO) and the image from Pen F was both sharper and has more depth than the Sony A7RII. The final print as made shy of 80 inches and I have upgrade my M4/3 setup with the Panasonic G9 which has 80mp High Res mode. Also Olympus is the only camera system that is weather proof (Pentax and Panasonic to a certain extend but don't have the range of lenses that Olympus have) and it's number one choice for many outdoor action photographer. I couldn't think of a camera I dare to take out during rainy seasons except the trusted Olympus OM-D 5 MII or the OM-D 1 MK1/II, now the E-M1X has even better protection against the elements. We all should congratulate Olympus to make this bolt move as it only offer us photographers more choice to choose from, photography has never been this good. I've had good experience with Fuji weather sealing. Unrelated to that - do you mind me asking what you use to focus stack? I used to use Photoshop but then found that Affinity Photo did a better job for me. 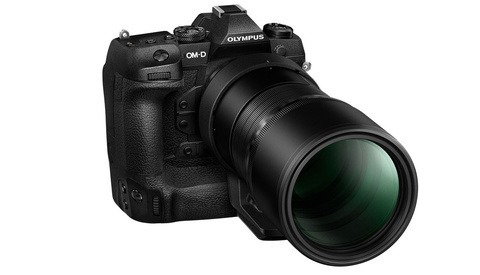 As a compact and complete system package plus lens and body stabilisation, the Olympus is better. Here is one amazing blog on macro photography where they stack up to 1000 shots. That's why the M4/3 with a smaller size sensor with better depth of field is a must have for macro photography. 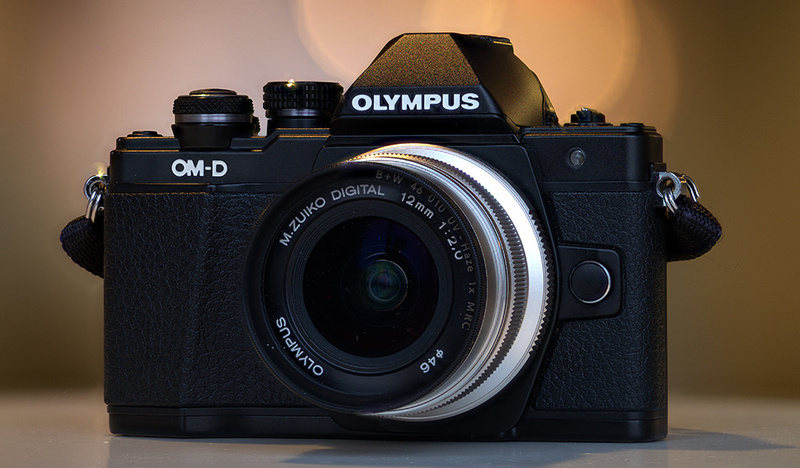 I have been extremely pleased with my Olympus cameras, and it was a no-brainer for me to upgrade the EMI to the mkII version as soon as it was announced. This new camera though leaves me wondering why, with my biggest concern being the "built-in" vertical hand-grip. With the EMI, I bought the optional grip with the 2 battery compartment. If I need small and light, take it off and I have my stripped-down lighter, smaller M43 camera. For all day shoots where I need the extra power or where I'm not concerned with size, I have it as that option installed. With the new camera, you no longer have the option of "small/light", and you can't say they saved you money either by giving it to you built-in. I'm sure its a great camera, but not interested in "upgrading" my EMI mkII. That sounds like me and how I roll with my Nikon D700. Grip on for sports, off for everything else. I like having the option (and with the grip it's basically a D3). E-M1X isn't really any bigger or much heavier than a E-M1 mk II with the grip, so I don't know why people keep harping on the size of the E-M1X. Consider, too, the E-M1X is being targeted to sports and wildlife photographers who may wear gloves in cold environments. Handling a small camera with gloves is an exercise in frustration. A "bigger" camera body with lots of buttons that can be pressed with gloves on is a feature that at least some outdoor photographers will appreciate. So OK the price is high, but half of the D5. It's all relative. Bottom line: if you don't want an E-M1X don't buy one. 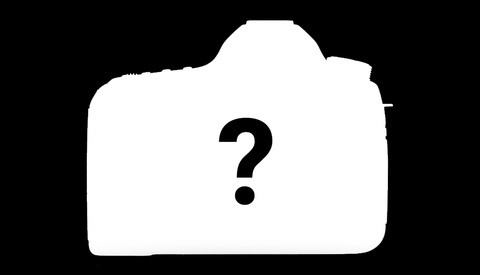 a professional (or someone with loads of cash), who shoots almost exclusively in decent/good/great lighting, and who wants the smallest/lightest solution possible. I am a fan of MFT (with a good grip...think G7, etc)...the bodies are perhaps only slightly smaller than APS-C and even FF (the human hand needs a decent grip, good button layout, etc), but the lenses are WAY smaller...and it's there that the portability, esp for travel and/or when a person wants to carry a few lenses, that MFT really shines. As someone who takes a lot of wildlife shots, I must admit I am curious about this camera. Carrying a heavy dSLR and lenses gets harder as you get older. However, I am not sure that I would buy it as it would mean a significant investment in new lenses. If you are mainly shooting for online then the sensor size is fine, large prints probably not so good. I will watch with mild interest and possibly have a look at it once it is in stock at my local dealer but think it is unlikely I would buy. This is a great camera for a very specific purpose. Everyone that's complaining doesn't even shoot professional sports. 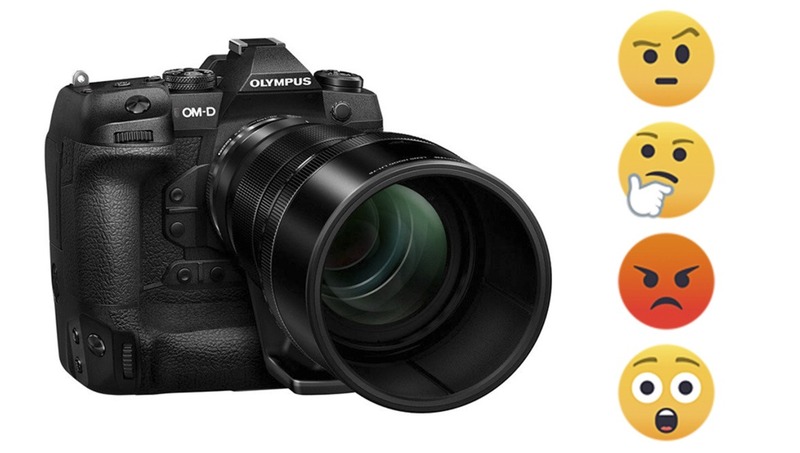 The only mistake Olympus made is not releasing their new 150-400mm lens together with it. What other system lets you handhold 2000mm ff equiv? I shoots tons of college level sports ... Outdoors this could work if the tracking is up to snuff, but my past experience with M43 is that things get rough above ISO1600, and that's pretty much where sports shooters live (Even in good light I'm hitting 3200-5000 for the faster shutter speed). If they played up this being a whole new sensor with some new tech that gets better image quality and noise performance, that's something to fork over $3k for, but that doesn't seem to be the case, regarding the sensor. I met Kelly Cox, a pro sports photographer that's been using this camera since September 2018. She said that this system has allowed her to run around, up and down huge stadiums carrying two bodies (often with the pro lenses 300mm and 40-150mm attached). Also, the extra grip makes the whole system feel well balanced when a long lens is attached. I know what you mean by the limitations of high ISO since my camera has the same sensor as the EM1X. However, I got to examine huge prints of indoor sports taken with this camera and the quality was quite good. I swtched from Nikon to Lumix/Oly years ago and this Frankencam is definitely not anything I have the need or space in my bag for. Att least on paper it looks like they are attempting to break in to a very niche cross section of professional. But given the huge inventment that particular crowd of established pros already inevitably have compared to others in the photography space, I find it a hard sell to entice them to switch. For up and coming pros starting to build their kit, it’s definitely a feasable option, but not sure if there are enough of those around to support such a high end cam at such a high end price point.